Welcome to The Fun Farm Child Care Centre! 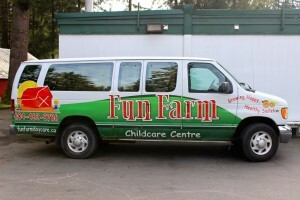 Fresh air and fun are guaranteed at this “summer camp style” licensed child care center on a hobby farm in Maple Ridge. Your child will enjoy such delights as a petting zoo, miniature train and a well-equipped playground in a beautiful country setting. 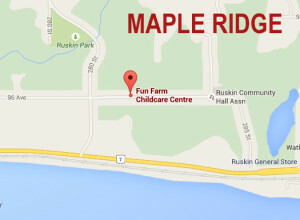 Fun Farm now has safe, easy access from Lougheed Highway. 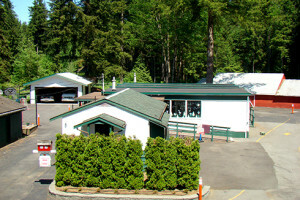 We have enjoyed serving Maple Ridge and Mission since 2002. We strive to maintain a vibrant program of events in a relaxed, encouraging atmosphere of acceptance and caring. We plan to go on several local outings each year. The nature of these field trips is educational and fun for your child. Parents are more than welcome to come along. Children will be transported safely as per licensing regulations. Copyright © 2019 The Fun Farm Child Care Centre. Powered by WordPress. Theme: Accelerate by ThemeGrill.